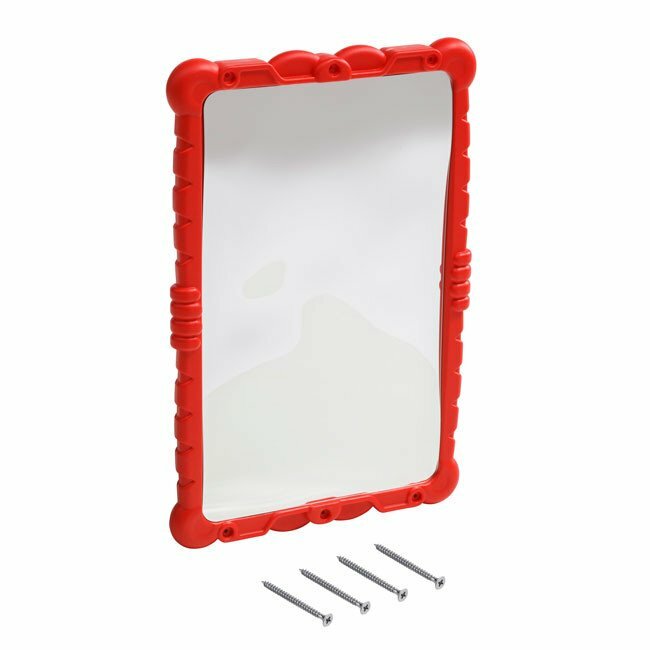 A children's play mirror with manufactured from Red injection moulded HDPE providing many hours of fun and noise! 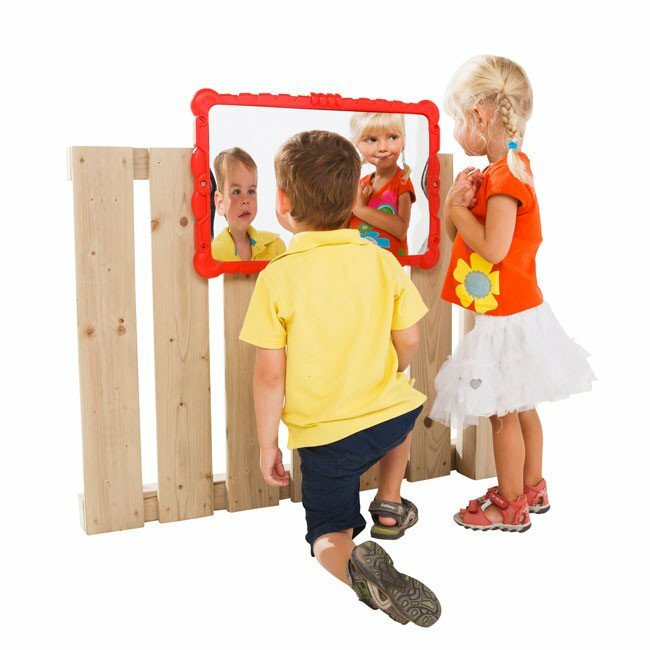 A toy "Haha" mirror manufactured from Red HDPE frame with a unique frame which deforms your reflection this will add hours of imaginative fun and laughter to all types of wooden play structures or climbing frames. 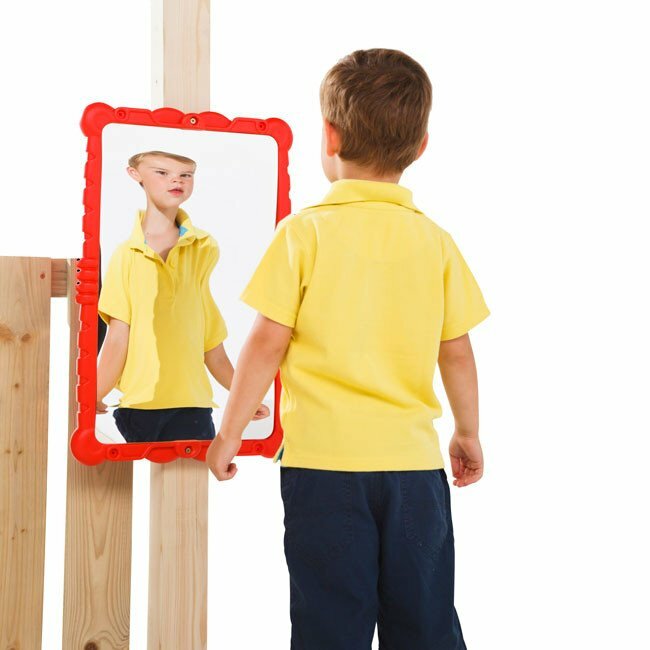 The mirror is 513mm x 385mm wide and comes with the fixings required to attach to a wooden frame.